Izzy finds many things to be excited about on the first day of school. Afraid of the first day of school, a boy says that he will attend only if he can go on a rocket or a lion, but his imaginative suggestions are balanced by Mom’s practicality. Sam often feels frightened and lonely during his first day of school, but when it is over, he eagerly tells his grandmother all about it. Rhyming text introduces ten neighborhood children as they excitedly prepare for school and count down to one. On the first day of school, Piggy has a difficult time letting his father go, but after he does, Piggy is in for a pleasant surprise. Despite his older sister’s dire warnings of all the terrible things that could go wrong on his first day in the second grade, Ben has a wonderful time. Because Kate got out on the wrong side of the bed, her first day at a new school proves to be a real nightmare with a gorilla for a teacher and spiders for lunch. Miss Mingo helps all of the animal students in her class overcome their shyness on the first day of school by encouraging them to share something special about themselves. Includes facts about animals. When Lola is worried about starting school, her older brother Charlie reassures her. Sammy the shark is so excited about the first day of school, he tries to eat everything in his path. Gilbert’s excitement over starting first grade turns to worry that the teacher will be mean, the work too hard, and his classmates too unfriendly, but throughout the day there are pleasant surprises. It’s that time…pencils, paper, notebooks, and backpacks…back to school time. Here are some resources to help you get your child ready to learn this school year. If you homeschool, be sure to check out our resources for home educators! Time to get ready to go back to school! 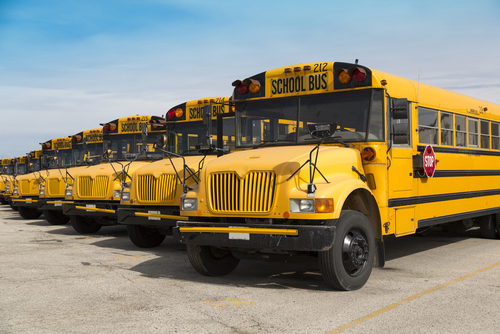 Here are a few books to help prepare your new rider for getting on the school bus! Trauma and disaster situations are difficult experiences for children and their families. Here are some resources to help you help your child during one of these times. When Jenny and her brother are frightened by events in the world, their parents help them talk about their fears and feel better. On September 11, 2001, life for the Mouse family changed forever. Malachy and his mother and father were evacuated from their apartment and had to move in with family and the location of Malachy’s school changed. Malachy was afraid and their lives had changed forever. With the help of his parents and teacher, a young boy deals with his feelings about the robbery of the neighborhood grocery store. Includes a note to parents. Many free, printable booklets and activity books for children, parents, teachers, and mental health professionals on topics such as natural disasters, accidents, September 11, terrorism, war, and school shootings. Some focus on children who have experienced these traumas personally, some focus on preparation against disasters, some focus on how to talk to kids about disasters and traumas that they hear about but haven’t personally experienced. The last section contains information about preparing for and dealing with disasters for caregivers of children with special needs. Some materials are available in Spanish. Provides a definition for and explanation of how community violence impacts young children. Provides a checklist to determine whether a child is being affected by community violence, and a reading list for professionals and caregivers. Articles on what early childhood trauma is and how impactful it is on children. Printable resources for families, caregivers and professionals for helping victims of early childhood trauma, and information about treatments and therapies. Information about Psychological First Aid for field operations and providers. Links to online/printable stories for children and resources for caregivers for earthquakes, epidemics, fires, floods, hurricanes, tornadoes and tsunamis. Tips for talking to children about terrorist acts from preschool through teen ages, tips for discussing media coverage, and resources for professionals and caregivers caring for children who experienced terrorist acts personally. Tips for talking to kids about disasters, how to know if your child is experienced PTSD or normal grief. Includes a search tool for finding a local child/adolescent psychiatrist. When you’ve read the whole series, why not try these other books? The shortest kid in the second grade, James Moody, also known as Stink, learns all about the shortest president of the United States, James Madison, when they celebrate Presidents’ Day at school. When Ms. Wurtz leaves a blank book in the Writer’s Corner with a note encouraging those who find it to “talk to each other” in its pages, the student’s entries spark a classroom-wide battle. When someone steals the winner’s trophy for the school book project, Clarice emulates her favorite book heroine, Ruby Redfort the detective. Tuffy the pet cat tries to defend himself against accusations of terrifying other animals and murdering the neighbor’s rabbit. Twin brothers observe a year’s worth of holidays in some very unusual ways. What do Labor Day, Halloween, Thanksgiving, Christmas, New Year’s Eve, Presidents’ Day, Valentine’s Day, Cinco de Mayo, and Flag Day have in common? Find out by letting Lenny and Mel take you on a journey through the holidays. See what it takes to be a good student, get fascinating Halloween costume ideas, lose those unsightly leftovers, and pretty much tackle any holiday that fall, winter, or spring can throw at you. Well, maybe not any holiday. But several. Definitely several. Fifth-grader Nolan Byrd, tired of being called names by the class bully, has a secret identity–Shredderman! After Mr. Green assigns everyone the task of becoming reporters, Nolan Byrd decides to go undercover and do an exposé via a web site on Bubba and the bullies at his school–giving them a dose of their own medicine by showing what they really are and what their classmates really think of them. Sean Rosen knows what he wants. A ten-million-dollar deal with a big Hollywood studio. The only problem is, he’s a kid. And he’s busy with school. And he lives far from Los Angeles or New York City. But Sean does have a laptop and a phone, and he’s smart. He’s about to have the ride of a lifetime as he discovers the ins and outs—and dos and don’ts—of becoming one of the youngest movie moguls the world’s ever known. The noisy fifth grade boys of Laketon Elementary School challenge the equally loud fifth grade girls to a “no talking” contest. Lydia Goldblatt and Julie Graham-Chang are best friends with one goal: to crack the code of popularity. Lydia’s the bold one: aspiring theater star, stick-fighting enthusiast, human guinea pig. Julie’s the shy one: observer and artist, accidental field hockey star, faithful recorder. In this notebook they write down their observations and carry out experiments to try to determine what makes the popular girls tick. But somehow, when Lydia and Julie try to imitate the popular girls, their efforts don’t translate into instant popularity. Lydia ends up with a bald spot, their parents won’t stop yelling, and Julie finds herself the number-one crush of Roland Asbjørnsen. Worse, they seem to be drifting farther and farther from their goal—and each other. The hand-lettered contents of a nine-year-old girl’s notebook, in which she records her thoughts and feelings about moving, starting school, and dealing with her older sister, as well as keeping her old best friend and making a new one. One day I was 12 years old and broke. Then Grandma gave me Grandpa’s old riding lawnmower. I set out to mow some lawns. More people wanted me to mow their lawns. And more and more. . . . One client was Arnold the stockbroker, who offered to teach me about “the beauty of capitalism. Supply and Demand. Diversify labor. Distribute the wealth.” “Wealth?” I said. “It’s groovy, man,” said Arnold. If I’d known what was coming, I might have climbed on my mower and putted all the way home to hide in my room. But the lawn business grew and grew. So did my profits, which Arnold invested in many things. And one of them was Joey Pow the prizefighter. That’s when my 12th summer got really interesting.